We know that nobody chooses to be in a collision or have vehicle damage; however, those who find themselves in this position must contend with possible injuries, disrupted schedules, and increased stress. 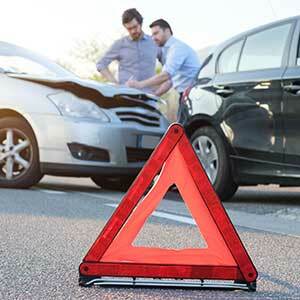 As an insurance agent, you’re at the front line of making sure that your client gets back on the road quickly and that they work with a reputable vehicle repair shop that is sensitive to their needs, treats them fairly and with respect, and delivers excellent repairs in a timely manner. We are dedicated to insurance agent success and helping you ensure that your client’s expectations are met. After all, it’s a win-win situation when a client experiences superior service across the board. Our collision repair shop in St. Charles is skilled at repairing all types of vehicle damage, resulting from minor scratches to major fender benders. Our bumper-to-bumper service takes care of your client’s vehicle from the inside out – from the mechanical inner workings to the paint. Our I-CAR, ASE-, and RVDA-certified technicians provide professional collision repair services to all vehicle makes and models, both foreign and domestic, and honor all warrantees. It is our goal to deliver excellent service and to return your client’s vehicle to pre-accident condition. We are accustomed to working directly with all insurance companies to streamline the collision repair process and minimize the disruption to your client’s schedule. We make sure your client’s vehicle repairs are completed quickly and to everyone’s satisfaction. This is our promise to you and your client. It is also one of the ways we guarantee insurance agent success. We’ve been in business since 1973. 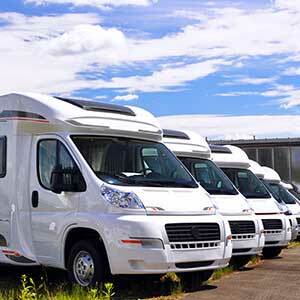 Working hard to earn the trust of our partnering companies, Complete Car & RV Repair provides professional service with honesty and integrity. We’re proud of the more than 99,000 vehicles that we have serviced since 1973 and of the insurance companies and agents who endorse us. Let us earn your trust. We’re proud of our professional services that we deliver with honesty and integrity. Let us show you how our shop meets or exceeds industry standards and how we stand out from other companies. We want to add your name to our growing list of direct repair partners.